No home library is complete without the classics! Dracula is a keepsake to be read and treasured. Irish author Bram Stoker introduced the character of Count Dracula and provided the basis of modern vampire fiction in his 1897 novel entitled Dracula. Written as a series of letters, newspaper clippings, diary entries, and ships’ logs, the story begins with lawyer Jonathan Harker journeying to meet Dracula at his remote castle to complete a real estate transaction. Harker soon discovers that he is being held prisoner, and that Dracula has a rather disquieting nocturnal life. Touching on themes such as Victorian culture, immigration, and colonialism, among others, this timeless classic is sure to keep readers on the edge of their seats! 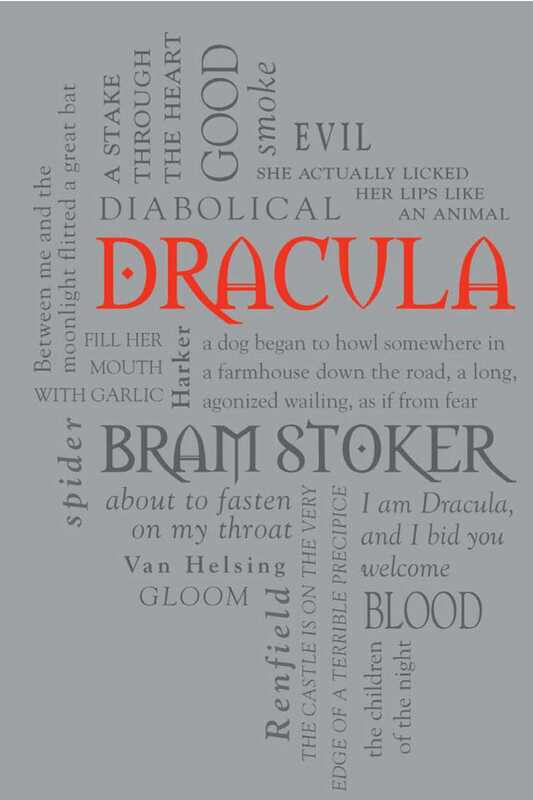 Now available as part of the Word Cloud Classics series, Dracula is a must-have addition to the libraries of all classic literature lovers. Irish novelist Bram Stoker was born in 1847 and died in 1912. Although he authored numerous short stories, novels, and non-fiction works, Stoker is best known for his 1897 Gothic novel Dracula.